Over the years, The Residences at Dockside has earned the reputation as one of Philadelphia’s most unique residential experiences. Many may wonder why Dockside is considered one of the best places to live in Philadelphia, but it’s quite simple. Abounding with luxury and resort-style amenities, our luxury condos are set on the river and are close to everywhere you want to be. The Residences at Dockside offer an abundance of space inside and breathtaking views outside. Simply put, your get more for your money when you live at the bigger and better condos at The Residences at Dockside. There are many features and elements that set The Residences at Dockside apart from other luxury condos. Our spacious two- and three-bedroom luxury condominiums come in a variety of floor plans, with prices starting from the $400,000s. Featuring expansive private terraces, gourmet designer kitchens with high-end appliances and granite countertops, hardwood floors, and generous storage space, as well as large bedrooms with plenty of closet space, and much more, every Dockside condo is marked by inspired design, impeccable taste, and superior products. Here at The Residences at Dockside, we believe that pleasing our owners and making you feel right at home is a priority, and is something we take great pride in. 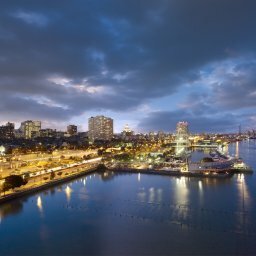 You’ll also enjoy some of the area’s most spectacular city and river views, as well as gated access, state-of-the-art security, a 24/7 concierge, and ample on-site gated parking with reserved spaces, 3 electric vehicle (EV) charging stations, and free visitor parking. However, Dockside still has more to offer to its residents. Each resident can enjoy the amazing amenities that The Residences at Dockside has to offer that include: a heated indoor pool and hot tub, a state-of-the-art fitness center with cardio and resistance equipment, and a spacious clubroom for entertaining, which features a full catering kitchen, pool table, grand piano, large-screen TV and adjacent 4,100-square-foot terrace overlooking the river. Residents can also take advantage of the free weekday shuttle services that runs to Center City with a number of convenient stops. 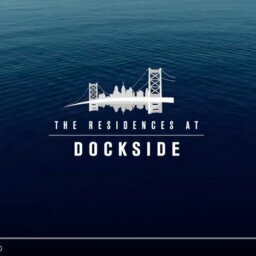 However, the reason that makes The Residences at Dockside the best is the how much we care for the current residents and the friendly community that we’ve created thus far! 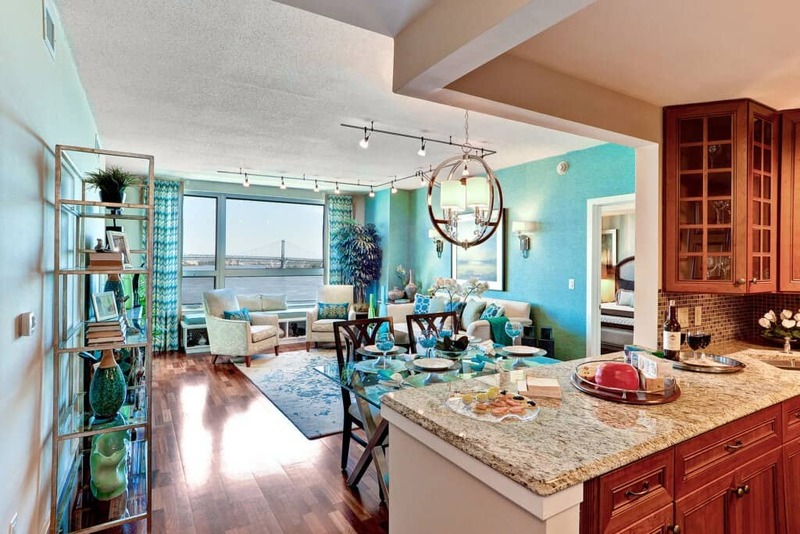 You won’t find a better residential atmosphere than at The Residences at Dockside! Live the Dockside life and make your move today! Feel free to contact us more information! We’d love to hear from you and welcome you into our community at The Residences at Dockside. So much to do, so close to home!